There I was, minding my own business, when in the parking lot of Car Toys, across from the largest mall in the area was a chicken... no, that's not the start of a joke. Seriously. There was a chicken. For Mother's Day, I had requested that I have the Blue Tooth stereo installed in my van (you know, the one I got for Christmas). I really enjoy music but being not tech savvy at all, I wanted this professionally done. So off to Car Toys we went. My husband specifically drove to the one in the city. He said they had a better customer service track record. So we go in, our instillation is no problem, and we make the appointment for the next morning. As we leave the parking lot, husband says "Um, look, there's a chicken...." Sure enough, I look up and there is this sweet pullet, walking across the parking lot of Car Toys, which is between a 5 lane road and I-5, our main interstate. I jump out of the car, walk up to this bird and just pick her up before she became roadkill. I was immediately sure she was a pet. She also was covered with green paint. 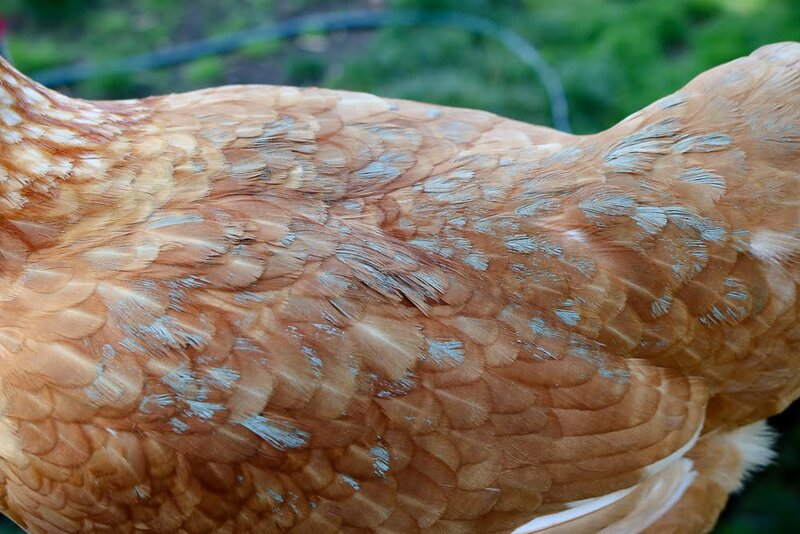 See that green paint that is still (a week later) all over her back? We have several guesses as to why she ended up on the side of a busy 5-lane road but the most common one is that people were spray painting the house or fence green and she got spooked over the fence somewhere. I am glad I got to save her, but sad someone else lost such a sweet bird. I added her, reluctantly, into our flock that night. 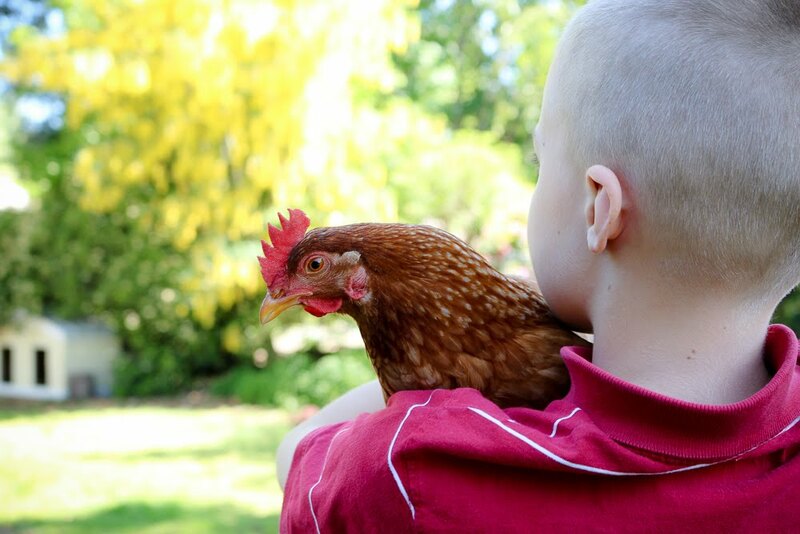 I have never added one chicken into an entire flock of full-grown hens before... but the transition was the easiest I have ever had. Within two days, she was full incorporated and was picking up queues like the calls for treats at the back door and where to lay the eggs... which she did. From day one. 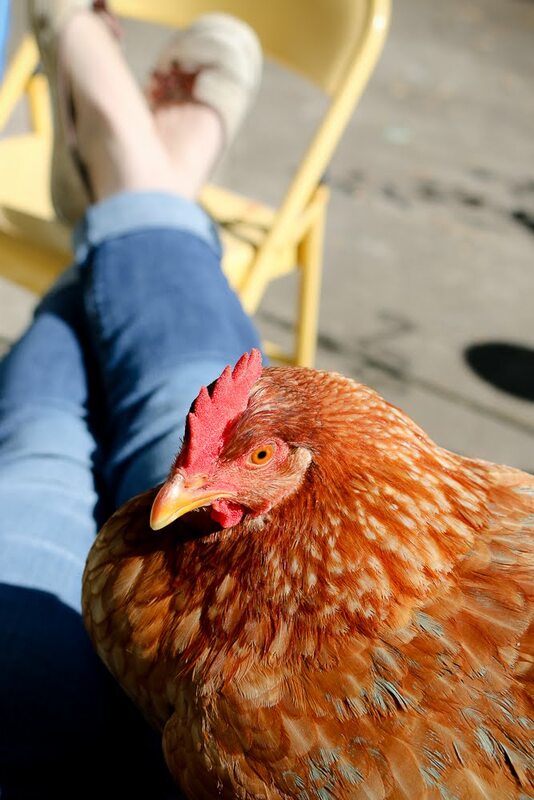 She has now settled in very nicely and really enjoys those sunny moments with me on the porch. And really, what a cool story!